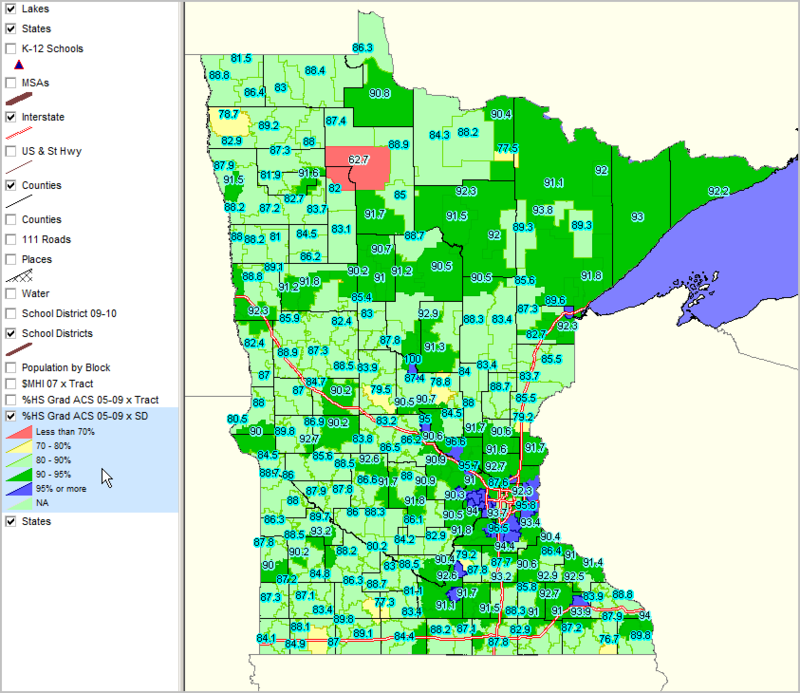 Selected CV XE GIS project/application views in Minnesota. Counties shown as black boundaries. See highlighted (blue) layer in legend (left of map) for color/data value interval definitions.